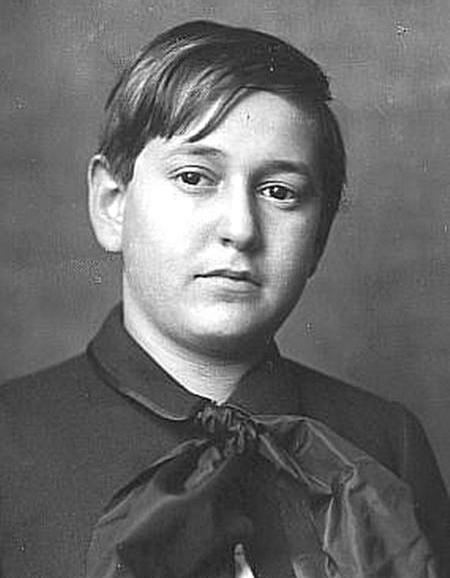 Erich Wolfgang Korngold in 1910. Some time ago, I was trawling through music videos on YouTube and came across one made by a small violinist who was about six years old. He was described in the blurb as a child prodigy. He was certainly extremely talented but he wasn’t a child prodigy. Nowhere near. There are child prodigies in many different fields, but music seems to have more than its fair share. Mozart immediately springs to mind of course, but others included Bellini who began studying music theory at the age of two and Bizet, who entered the Paris Conservatoire at nine. Then there were Samuel Barber, Menotti, Mendelssohn, Paganini and Purcell. Juan Arriaga composed a two-act opera at the age of thirteen and Edgard Varèse composed his first opera at the age of twelve. At present, science knows little about the mental functioning of these extraordinary children, though there is no shortage of theories. The issue inevitably brings up the time-worn “nature vs. nurture” debate, but the latest thinking seems to indicate that both nature and nurture have a role to play. Psychologist Joanne Ruthsatz of Ohio State University has estimated that there’s one child prodigy among every five million, possibly ten million children. The Ohio research has shown that a common denominator among these gifted children is an exceptional working memory. They also have an intense attention to detail, an elevated general intelligence and interestingly, they tend to be far more altruistic than most other people. Contrary to popular legend, child prodigies don’t usually die young or fade away in their adult years. Many prodigies have lived into their eighties and nineties and continued performing careers until towards the end of their lives. When the young Chopin began music tuition, it quickly became apparent that he was a child prodigy. By the age of seven he had begun giving public concerts and he had already composed two polonaises. The Argentinean pianist Martha Argerich is widely regarded as one of the finest pianists of all time. She was also a child prodigy and gave her debut concert at the age of eight, playing Mozart’s Piano Concerto No. 20 in D minor and Beethoven’s First Piano Concerto in C major. She was approaching seventy when she recorded this splendid performance and she brings sheer magic to the lovely delicate melody that forms part of the first movement. This is an immensely enjoyable work and given a superb performance by violinist Stefan Jackiw who was born in Boston, Massachusetts to a Korean mother and a Ukrainian father. He started playing the violin at the age of four and made his professional debut in Boston at the age of twelve, playing Wieniawski’s notoriously difficult Second Violin Concerto. Gustav Mahler described the young Erich Wolfgang Korngold as a musical genius. At the age of eleven, Korngold composed the ballet Der Schneemann (“The Snowman”) but today Korngold is known best for his film music and many of his movie themes appear in this concerto. The first movement includes themes from Another Dawn (1937) and Juarez (1939) while in the second movement there’s a theme from Anthony Adverse (1936). The technically challenging and virtuosic finale contains the main theme from The Prince and the Pauper (1937). This is rich, lush music firmly set in the Europe of the closing years of the nineteenth century. Korngold was to become one of the most important and influential composers in the history of Hollywood and his influence is still felt today – seventy years on. Composer John Williams has cited Korngold as his inspiration in scoring the music for the Star Wars movies.